CyberCriminals will use anything and everything to try to lure people into becoming victims. 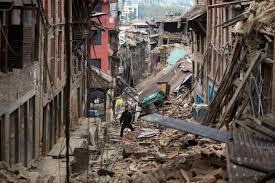 The devastating earthquake that took place in Nepal is no exception. More than 5,000 people dead and counting. And you can also count on CyberCriminals to exploit the human suffering. 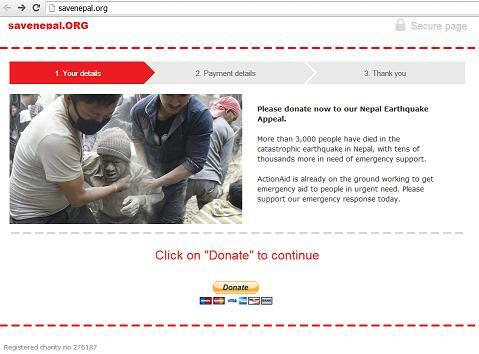 CyberCriminals are using the Nepal disaster to lure people into clicking on links, both on Facebook and Twitter. They are also sending phishing emails trying to solicit “charitable giving” for the earthquake. 1. Facebook pages dedicated to Nepal earthquake victim relief. These pages actually contain links to scam websites. 2. Tweets going out with links they state are for “charitable websites soliciting donations”. In reality, these links result in your computer being infected with malware. 3. 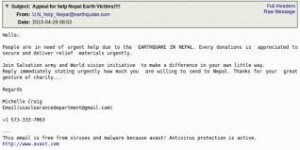 Phishing emails asking for donations to the Nepal Earthquake Fund. 4. 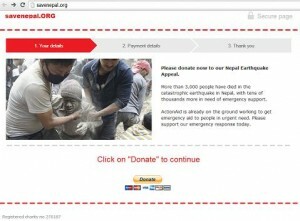 Fake charity website donation pages to trick people into sending them money, thinking they are making charitable donations that will help the people of Nepal. Previous disasters have been exploited like this, but CyberCriminals are pulling out all the stops on this one. 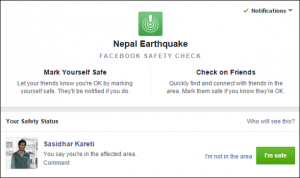 Be very cautious of anything about the Nepal Earthquake in the following weeks. Please warn your employees, coworkers, friends and family about these scams. 2. You can also check out the Canadian Red Cross or American Red Cross. They can tell you different ways you can donate to the Nepal Region Earthquake Fund. Fund made through the Canadian Red Cross.